An elegant silk rug lends a unique kind of beauty to a home. Because of the delicate nature of these fibers, silk rug cleaning requires a different approach than cleaning ordinary cotton or even wool rugs. Most silk rugs are made in western Asian countries, and the fibre is obtained from the cocoon of the silkworm. Silk fibres are surprisingly strong and very resilient. A silk rug can be stretched but will easily return to its original size because of the resiliency of its fibres. Silk rugs are very smooth and lightweight but are quite delicate. The material can be easily stained and should never be placed in an area where they will be frequently walked upon. Frequent traffic can lead to color fading and damage to the rug’s embroidery – two problems that can never be corrected. 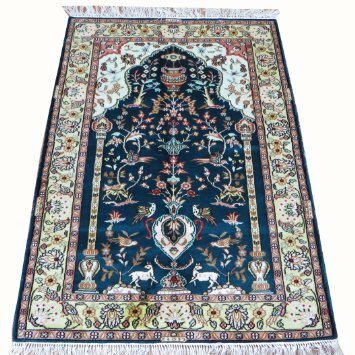 Abrasive cleaning will also easily damage a silk rug, and care must be taken to ensure that any cleaning is effective yet safe. 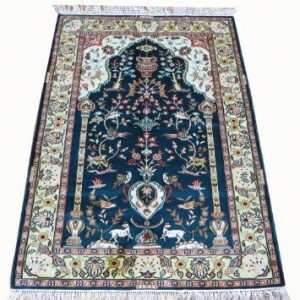 At the Rug Cleaning Centre our technicians are fully trained in the various methods used to clean such delicate rugs.